One of the chief benefits drawbacks of being finished with my masters’ work is that I am no longer required to travel to Cambridge three days a week. I certainly don’t miss the rush hour morning commutes, or getting up before sunrise. However, having a excuse reason to be in the city forced me to get out of Connecticut and interact with the greater world, go to restaurants and concerts, and feel like an adult…not just a boarding school teacher. With that in mind, I headed south during my mid-winter break this past weekend. On the one hand, it was a nondescriptly relaxing weekend: seeing friends, lounging around the house, cooking food, going out for sushi, and taking walks. 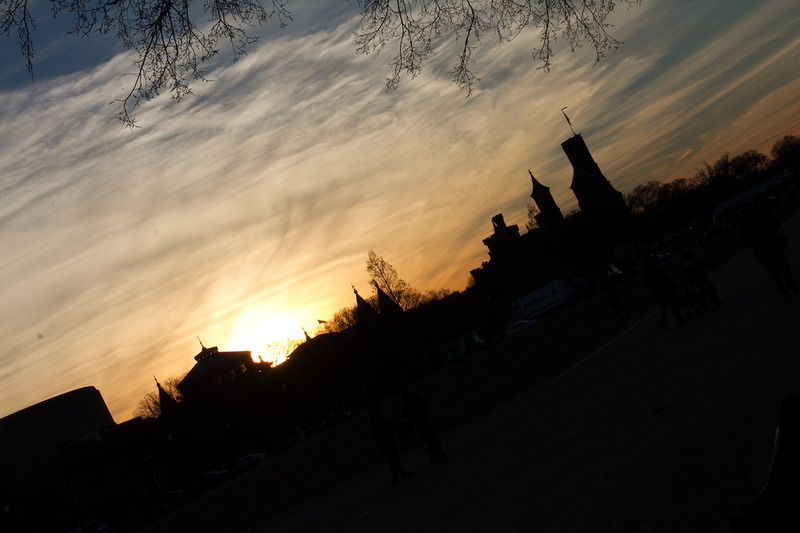 On the other hand, I had access to Washington, D.C. We went to the National Gallery (new van Gogh acquisition & a Byzantine art exhibit), wandered the mall (see sunset over the Smithsonian above), and had drinks in Dupont Circle. I returned to my cottage this morning, and I have been sitting in front of the fire for the past several hours. My prep work for another week of school is mostly ready, and I am planning my summer recording session. Hopefully I can call the studio tomorrow and book a few days. It was important to get away and be in the world. It is always good to remember it is all still there!